If I pay off my rental mortgage, my cash flow will definitely increase. It has been a year since I paid off my last mortgage, not literally my last mortgage, but the most recent one I paid off. My investment account balance has grown back to where I was before I paid the mortgage off, and then some. So, I am now wondering if I should pay off one additional mortgage. There are a lot of things to think about before you make a sizable payoff. What are the other uses of the capital? How strong will your cash flow be after the payoff? What are the alternative investments, such as the stock market? Here is the analysis that I am going through. The mortgage I paid off last year, almost to the day of this post, was $188,758.33. It was at 5.5% interest and has now saved me quite a bit in interest, almost $10K. It added another $1,071 in monthly cash flow. The second mortgage I paid off, on my personal home, added another $1,403 in monthly cash flow. While the extra almost $30K in annual cash flow is nice, it is very likely more than I need for retirement when combined with the existing rental income and future retirement draws from my investment account and pensions. 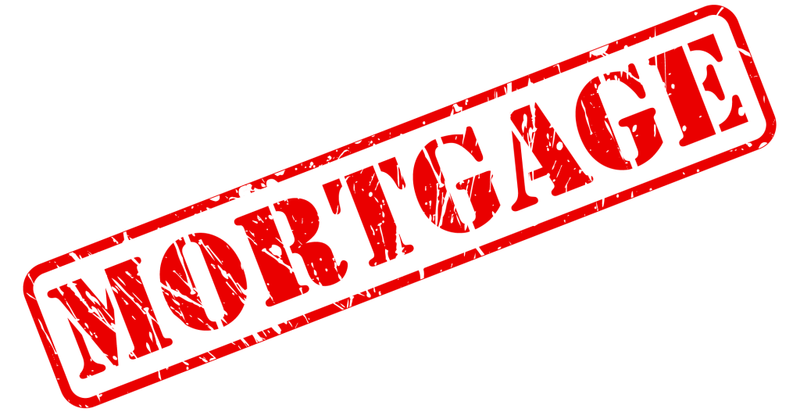 I have three mortgages currently; here are the approximate mortgage amounts as of 07/2015. August payments will lower each mortgage by ~$300. The remaining balances are not bad for seven multifamily rental properties grossing over $25K per month. The property values, based upon tax value or recent sales, should generally be worth approximately $2.5M, of which I paid ~$1.8M over the years. In early 2012, I had over $917K in mortgages loans, so I have paid off almost $360K in mortgages in the past 42 months or so. In general, when you are paying off debt, you should pay off the debt in some sort of organized fashion. Generally, it amounts to paying off debt in one of three ways. Pick the highest interest rate debt, pick the lowest balance account, or pick the one you will generate the most cash flow on. In my case, the highest interest rate and the lowest balance is the $160K mortgage, or mortgage 3. It is also the one that will generate the most cash flow yield. It was taken out in March 2011 and still has ~26 years left, which may be longer than I will live. It will take me ~160 months to recover the amount I am using to pay it off, based upon the cash flow savings. 160 months to replenish my investment account using the extra cash flow from the mortgage loan payment. Realistically, it will take about 12 months to recover the amount, if I include my after tax rental savings. The cash influx will get weaker as time goes on, as this time next year, I will not have a megacorp job. That might make for a longer account recovery. Some investors like lots of leverage. I like cash flow. Paying off a mortgage is close to the equivalent of buying another property I terms of top-line cash flow, but not adding any additional work. I like less work. If I can get a solid guaranteed return, almost as good as the stock market, it’s a plus. I can save later, and if my cash flow is greater than my needs, I do not even need the market. I am only saving the interest percentage on the loan. As an example, if I put up $10K on a 5.375% mortgage, I save 5.375%. It does not help my cash flow. I still have to make the monthly payments, but for a shorter timeframe. If I pay off the entire loan, I eliminate the principle and interest payments for the month. With the principle not having to be paid, it increases my cash flow further. In my case, I calculate that as payoff yield. If I put up $160K, and my cash flow increases by $960.35 x 12 per year, it is like a guaranteed 7.18% investment. It is definitely guaranteed, if I do not pay it every month, the bank will come and take the building away. It is worth about double the mortgage, so it is likely I would never, ever, ever, want it to go back to the bank. If I was underwater, it may be a strategy to cut the building lose and pet the bank take it back. With today’s non-owner occupied down payment amounts of 25% – 30%, there is little incentive to walk away. I will increase my cash flow, that is a given. If rents decline, I am in better shape. If I need another mortgage, I have more cash flow to show, and am further away from any four mortgage limit. I do not have to pay 5.375% interest on $160K, which is a tidy sum. If I split the 4-plex into condominiums, and sell them one-by-one, I do not have the bank objections. I do not have to worry about any due-on-sale clause for putting the building into an LLC name. My investment account, which is fairly liquid, will be lower. It becomes less liquid Real Estate equity. My interest rate deduction is less. However, it is always better to pay $0.50 in taxes, than $1.00 in interest. I may have a higher taxable income. A lawsuit would bring a larger ‘prize’ to a potential litigant. I have to account for property taxes that I was escrowing for. So, it is a larger tax hit during May and October when I have to make out a $10K check, rather than a smaller amount throughout the year. It’s the same price, it just pinches more. If inflation goes to 6% or more, a 5.375% mortgage is gold. It is less than inflation. Inflation is helping you pay off the mortgage. I will wait until January 2016 to put the plan in action, just after rent collections. I do not want to sell investments to pay off a mortgage. They are earning dividends or have capital gains. I will likely pay about $80K from my cash position, and then use my Home Equity Line of Credit (HELOC) for the other $80K. I should be able to pay off the $80K by the time I quit working if I pay ~15K a month. The existing interest is 5.375%, and my HELOC will be at prime, which is 3.25% today. It is adjustable, but I save about 2% no matter what. Plus the loan will only be on half of the original amount. So, that is the plan. I could immediately pay down the mortgage by quite a bit with some money sitting a cash position in my investment account. Any amounts paid will be like getting 5.375% on my money. It is currently getting .01%. That is a 5.374% increase. I could then payoff as much as I can, while still maintaining my stock investment schedule as close as possible. Once the New Year comes through, I could pay off the remaining balance, or keep my schedule. Of course, any amount I pay down becomes illiquid real estate, instead of cash. And my cash flow doesn’t change for the near future. Only when the mortgage payment is gone does the cash flow position increase. Do you have any mortgages? Have you paid off any mortgages? Could you write a check and payoff a $160K mortgage? What would you do in my situation? Pay off a mortgage or have liquid investments?